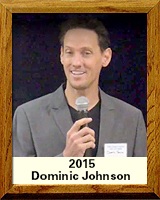 As an Amphi Panther (1990-94) Dominic Johnson soared to new heights in the Pole Vault. He set the city record which still stands today at 16’5” and has the second highest jump in Arizona high school history, second only to Olympic Champion Nick Hysong of Tolleson. Johnson was an Arizona State Champion in both the Pole Vault and the Decathlon. Johnson received an athletic scholarship to the University of Arizona. As an Arizona Wildcat, he was a three-time NCAA All-American in both Pole Vault and the Decathlon. He set a University of Arizona school record with a vault of 18’6”, which still stands today. While at Arizona, Johnson qualified for the 1996 Olympics in Atlanta where he represented his native country of St. Lucia. As an Olympian and professional athlete, he represented St. Lucia in the Pole Vault, Decathlon, 4×400 meter relay and 4 x100 meter relay. He still holds national records in all of these events. Highlights of Johnson’s international career include: a Pan American Games Bronze Medalist, A Commonwealth Games Bronze Medalist, and a multi-time Central American and Caribbean Games Medalist. In addition, he was a 3-time World Championship qualifier. Johnson had the privilege of training in Formia, Italy under the direction of Vitaly Petrov. Petrov is considered the world’s best pole vault coach. His list of athletes includes world record holders, Olympic champions, and World Champions. In addition to Johnson’s personal accomplishments, he is also very proud of the fact he has helped several other young St. Lucian athletes receive Athletic scholarships to American universities, one of whom, later, represented St. Lucia in the Olympics as a marathon runner.